Discussion in 'Model S' started by Brock Vasic, Mar 19, 2016. I just purchased a used Model S. BEST CAR EVER! The previous owner spilled some soak beads to clean up a spill. He dumped all the soak beads out and thought he cleaned them up but it turns out a bunch of them got UNDER the carpet, in between the carpet and the battery. Now when i turn, it sounds like a million beads are going back and forth in my car. SO ANNOYING! This is a long shot, but does anyone have experience with cleaning UNDER the carpet? how do i access it? should I cut a small sliver in the carpet so i can stick a vacuum down there? Bummer. Definitely do not cut a slit because it will eventually cause the carpet to stretch. Unfortunately, the only way to do it is to pull up some of the side trim to access the edge of the carpet. I'd suggest the door sill panel. That's the easies access. Most panels simply pop off and then snap back in. Tesla interior panels are known for being hard to pop off. It takes a good strong yank, while being mindful to not tweak, or twist the panel. Then you could get a flat nozzle underneath. Hopefully you can get them all. I've pulled several panels off with no problems. and before you try it, find a good 270 degree bend or ramp to ensure all the bits are on the same side! Thank you so much both of you. The trick worked and i was able to get the beads out. And thanks thegruf... i actually had a rogue bead and your idea of the sticky tape was great!! I feel your pain! it works well and its not hard at all to take the door panel off and stick a vacum in there. I ended up taping a sprinkler pipe to the end of my vaccum and shoving it under there to get all my debris out. 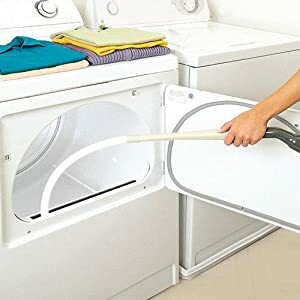 Something else you might consider is a vacuum attachment for cleaning dryer vents; you can snake the long flexible tube under the carpet using one of those access panels under the seat, or from the sides by pulling off some of the door sill trim as suggested by others.